Subaru has been outpacing the rest of the auto industry in America by growing at a fast clip for the past nine years. This record growth could have caused them to overlook the corporate culture inside their factories in Japan. Subaru Corporation said in an April 27 statement, they need to reform the corporate culture "from the ground up" after admitting they faked fuel economy and emissions data on vehicles in Japan for at least five years. The Gunma and Yajima plants in Japan are where they build the popular new 2019 Forester, sizzling hot 2018 Crosstrek, Impreza compact, WRX and WRX STI performance cars and BRZ sports coupe. Subaru said inspectors altered fuel economy and emissions data on 903 vehicles from 2012 through 2017. The faulty inspections only affected JDM vehicles and not cars they exported to the US. 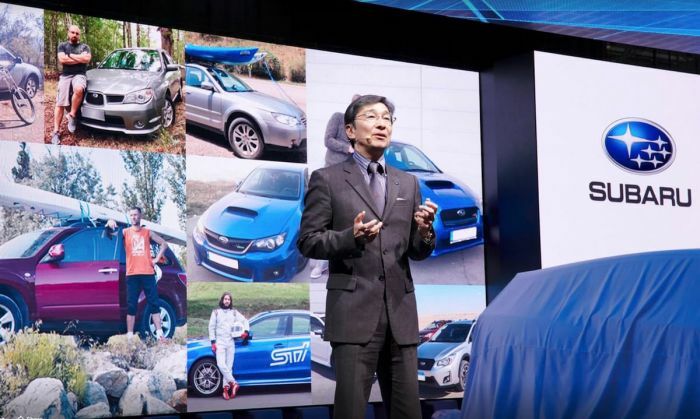 In March, Subaru Corp announced Tomomi Nakamura, chairman, and CEO of Subaru of America (SOA) and corporate executive vice president, would take over as Subaru's president after the company's shareholder meeting in June. CEO Yasuyuki Yoshinaga will become chairman of Subaru to focus on restoring Subaru’s tarnished reputation in Japan. The Subaru statement says, "Subaru's management and employees will work collectively to restore lost trust." Subaru’s sales have taken a nose dive in Japan dropping 15 percent in the first three months of the year as the company grappled with fallout from an inspection scandal which came to light at the end of last year. The findings have not affected sales in the U.S. where sales are at all-time highs. Subaru says they’ve made changes already and have recalculated fuel-mileage data on cars for which it had been manipulated. The Japanese automaker says new data still fell within the accepted range of deviation and no recalls are required.